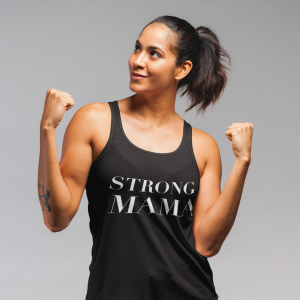 Here at Baby Mama Fitness, we believe that strong Mamas are everywhere. 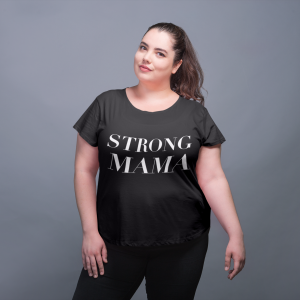 That strong Mamas come in all shapes and sizes. That strong Mamas run the world. 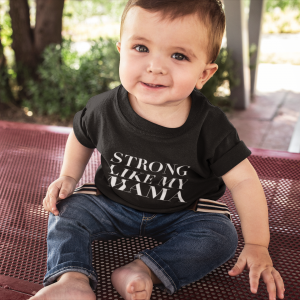 That strong Mamas are an amazing example for their Littles. 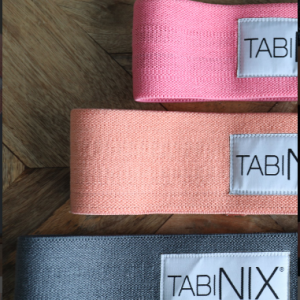 And now we can shout it from the rooftops. 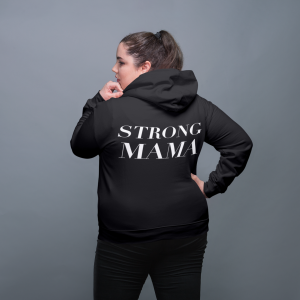 Gear up in Baby Mama Fitness’ new STRONG MAMA gear.